Brett Kavanaugh’s pants are on fire. On Wednesday, in the Supreme Court hearing for the potential Supreme Court Justice, he told Susan Collins, senator of Maine, that Roe v. Wade is “an important precedent of the Supreme Court,” per ThinkProgress. It’s not the best answer, but, hey, it could be worse, right? Well, it’s worse. On Thursday, one of Kavanaugh’s emails leaked, in which he basically says that the landmark ruling is precedent—and that precedent could easily be changed, writing, “can always overrule its precedent, and three current Justices on the court would do so.” Although the email is from 2003, his answer to Collins suggests that his opinion hasn’t changed. 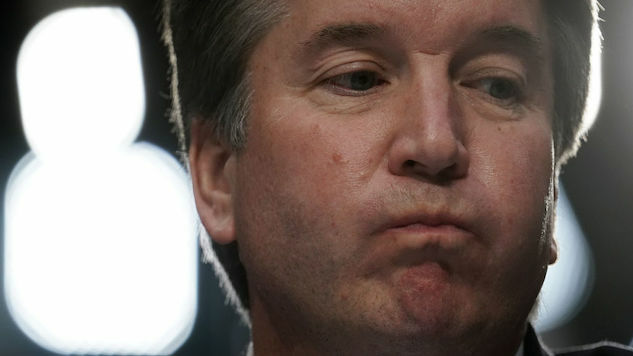 ThinkProgress adds that after the leak went public on Thursday, Kavanaugh was confronted about the letter itself and its content by Senator Diane Feinstein. His canary-like answer suggests that he’s dodging a truthful response that could result in the overturning of a landmark case. If Collins helps confirm Kavanaugh and make that a reality, her constituents are ready to vote her down. Check out the email in question below.